I have been working with New Canadians for many years and as a child of immigrant parents, I grew up with a lot of anti-Canadian sentiments. Usually my parents’ complaints had to do with the leniency to which Canadian parents treated misbehaving children or the relative pemissiveness of Canadian society that was a sharp contrast to where they were from. While they would complain occasionally about Canada , they would always end the conversation about how wonderful Canada is and how grateful they were to be here. Now that I am working in a field with many New Canadians, I hear similar statements. Complaints about the educational system, health care, judicial system and the list goes on. I have found myself on many occasions sitting back and saying nothing, even though at times I feel offended, or maybe even disappointed. On the other hand, I have encountered similar comments, even ethnocentric ones from Canadian born individuals related to immigrants. For whatever reason, it seems that it is easier to challenge a Canadian co-worker than a New Canadian about stereotypes or ethnocentrism. Is this truly fair? The truth of the matter is that both need to be challenged. Often times the New Canadian is making these statements out of frustration with the whole acculturation process. Sometimes everything is so new that they wish it was the same as it was back home, where they understood everything and knew how to navigate everyday life. Unfortunately, these expressions of frustration can also be expressions of racism, ethnocentrism and lack of appreciation for life in Canada. Despite your cultural background, making racist comments about other cultures, “Canadian bashing” can result in feelings of hurt and degradation. 1. Ask Questions – Why are things done this way? What are the values behind these institutions? Get to understand the country and its people before you criticize it. 2. Get involved. Isolation from mainstream society can make your feel more negative about life here. There are many things you can do – take a course, do volunteer work, get involved in politics. Conduct research on Canada etc. 3. Stop and think for a moment. If you heard Canadians or other groups making comments about your culture the way you do about them, how would you feel? What would you call it? Would you report it? 4. Remember, just because you have not received a reaction or received a reprimand does not mean that your comments do not have an impact. Canadians have a tendency at times to be passive aggressive with these types of views by avoiding direct confrontation and instead showing their resentment in other ways. In this day in age when so much turmoil is going on in the world., where wars, hunger and intolerance dominant our media, we have so much to be thankful for living in a country that is a haven of peace and sanity in an insane world. Quit the Canadian bashing and instead look at what the country can offer you and your children. Remember, Canadians have feelings, too! 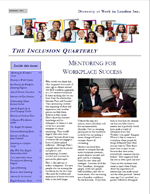 Would you like to receive a complimentary copy of our ezine, The Inclusion Quarterly? 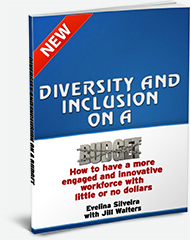 send us an email at info@yourdiversityatwork.com.